A genre defining series is ending in a few days. StarCraft II’s new expansion, Legacy of the Void, will be end of StarCraft as we know it. Now, that isn’t to say people won’t still be playing it years from now or that Blizzard will stop updating it. If the original StarCraft taught us anything, it’s that an expertly crafted game can remain popular and relevant for years. In fact, at this year’s BlizzCon they announced some episodic campaign content to be released in 2016. That said, much of the community interest for the new installment has been for the mechanical changes it brings to the table including new units, UI changes, and new multiplayer modes. But StarCraft II’s core gameplay was set in stone years ago and while these additions will be nice, they aren’t what makes this expansion special. The true importance of Legacy of the Void is that it represents the completion of an epic story line that has taken over 16 years to tell. It’s one of the longest running video game story lines ever created and as such has gone through many changes in delivery, sophistication, and style. To get the story back in 1998, players had to sit through what is essentially a series of interstellar conference calls. Now, as with the rest of the industry, Blizzard’s story delivery has become much more complex and character driven. Welcome to StarCraft, where all sentient life in the galaxy speaks English and the military is run by convicts and hillbillies. Back in 1998, the game was a brand new IP trying to prove itself after the success of WarCraft II. 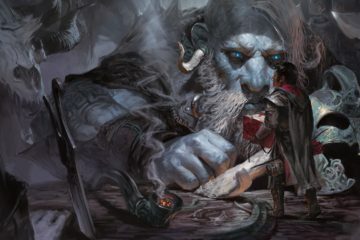 What put it leaps and bounds ahead was its three completely unique races. StarCraft perfected the art of creating RTS factions that played fundamentally differently, but remained balanced at the same time. StarCraft’s story system still gets its basic chassis from WarCraft II. At the beginning of each mission in WarCraft II, a single voice actor would briefly detail the story so far and explain mission objectives. Then, every few levels, a CG cut scene would show up as a little reward for your efforts. But none of the characters in these cut scenes ever spoke (except for the king saying “guards!” in one sequence). In fact, in the entire game there were only two voice actors with meaningful lines: a narrator for the orc campaign and a narrator for the human campaign. When StarCraft was released it followed this same formula, but added a huge cast of characters that had dialogue. Rather than a narrator simply telling you what the story was, Blizzard showed you the story unfolding via conversations between the game’s characters. Cinematics also had the addition of speaking characters and a higher level of cinematography. But even with this leap in sophistication and technology Blizzard was still stuck with talking heads most of the time. Game characters were represented with animated portraits and mission briefings resembled Skype conference calls. The delivery was also similar to a radio play in that, aside from what happened in each mission, blocking was nonexistent. Under these constraints, Blizzard wielded the only two weapons it had for these scenes: fun dialogue and voice acting. The original StarCraft is first and foremost a war game, focusing on the immediate conflicts between the Terrans, Zerg, and Protoss. It’s the one game that focuses least on the mythology that would become the focus of all the later games. In comparison to the softer edges of StarCraft II’s presentation, almost everything about the original was designed as harsh and visceral. The Terrans were louder and more crude, the Zerg were more disgusting, and the Protoss were at times more monstrous than graceful. Besides aesthetics, the original also had edgier themes and a more nonchalant tone. The original opening cinematic wasn’t epic and it didn’t have any important story characters. In fact, the characters that are featured are pretty unlikable. It’s nothing more than a bunch of rednecks getting annihilated by an alien warship. Blizzard wouldn’t dream of doing a cinematic like that for today’s audiences. StarCraft had a slew of original characters bouncing off each other. Each one was unique and voice acting was superb. There are a few that really stand out. Jim Raynor is voiced by Robert Clotworthy for the entire series and he brings a much needed ‘identifiable every man’ feel to the part. He serves to ground the wackiness of the other characters with a much more average perspective. 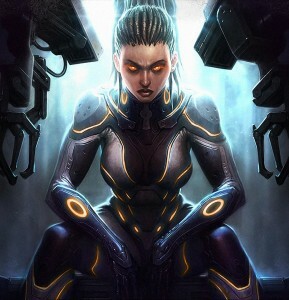 Sarah Kerrigan was originally voiced by Glynnis Talken, who brought a sense of attitude and angst to the role that Tricia Helfer’s later performances lacked. Once she is infested, she is both cunning and haughty, making all of her vicious exchanges with the other characters a joy to listen to. This is also the most immature version of Kerrigan and dialogues sometimes make her feel like an angsty teenager with the Overmind as her patient and understanding father. Listening to Tassadar taunt her like a child throwing a temper tantrum is a classic moment. The Overmind itself stands out as one of the most compelling characters to listen to and happens to be this author’s favorite voice performance in the entire series. With his poetically written dialogue, outstanding voice performance from Jack Ritschel, and position as the oldest and wisest sentient creature in the galaxy, the Overmind is a more compelling arch-villain than Amon from the new series is shaping up to be. Incidentally, the Overmind’s assault on Auir in the original game has now come full circle in Legacy of the Void, which is about the Protoss reclaiming their homeworld. Tassadar is voiced by Michael Gough who’s performance conveys both passion and wisdom. In the face of the unbending traditionalism that the Protoss Conclave demands, Tassadar is seen by many as both a heretic and a voice of reason. Tassadar’s efforts to bring progressive thought into the Protoss war effort represents the basic theme of their story. Though he dies in the first game, he is one of the most important heroes in all of StarCraft. Arriving at the Brood War expansion, the story hits the ground running. Right out of the gate all of our favorite old characters are back, but this time we aren’t given any hand holding tutorials or expository missions. Both the story and its conflicts are character driven, rather than superficial conflicts about Terran vs. Protoss vs. Zerg. Racial divisions are there, but there seem to be both heroes and villains in every camp. This time around, StarCraft already knows what its identity is, so it just runs with it. Its full of interesting moments where even sworn enemies must work together because of unique circumstances. There are also more plot twists and betrayals, including multiple characters with hidden agendas. Superb voice acting returns in force for Brood War. New characters are introduced and old ones are further developed. Kerrigan returns to absolutely steal the show and Glynnis Talken’s performance is much more adult and menacing. This time around she has learned a lesson or two, growing out of her adolescent phase to assume the role of lead villain in the series. The Kerrigan in Brood War is the best and most iconic iteration of her character to date. She’s mature and manipulative enough to trick both the Terrans and the Protoss into working with her. Then she turns around and becomes responsible for the deaths of some of the series’ most beloved characters. Samir Duran is one of the newcomers to the story and proves to be even more enigmatic and deceptive than Kerrigan herself. Paul Ainsley lends a liquid smooth voice performance to the character who leap frogs from camp to camp manipulating everyone as he goes. Duran is more accurately known as the nameless Shapeshifter that works in the service of Amon, the ultimate evil in the new sequels. His appearance in Brood War signifies the beginning of the shift towards a larger, more fantastic story that is more about mortals versus god-like entities rather than the more straightforward war story seen in the original. Artanis is another newcomer, also voiced by Paul Ainsley. He is a very young character with an eager and upbeat personality, helping him to contrast well with the other Protoss characters who are traditionally depicted with old, strong performances. He was selected by Blizzard to be the main character in Legacy of the Void. Zeratul returns here and begins settling into the role of the wandering investigator he has become so well known as in StarCraft II. In the very end of the campaign, it is he who discovers Duran’s true identity and the existence of the hybrids, which would eventually play a major role in the end of the series. Zeratul is the one character that always seems to have the bigger picture in mind. Welcome to StarCraft II! The days of Skype conference calls are over and that means we finally get to see what everyone looks like below the neck! Too bad most of the humans look like gorillas… But its the future, so maybe they’re all drinking genetically enhanced muscle milk or something. Let’s the get the obvious out of the way first: StarCraft II has over a decade’s worth of industrial and technological progress behind it. We get 3D scenes with blocking for every conversation, mountains more dialogue than in the original, and tons of side conversations and entirely alternate story scenarios depending on decisions the player makes. Sounds great so far! In terms of story, it attempts to continue the trend that Brood War hinted at: character driven conflicts, but it takes it to a level that is all too literal. Wings of Liberty focuses on only one character for its entire campaign: Jim Raynor. As such, the bigger picture sometimes gets put on hold while we follow his whims. Also, the scope of the story is much smaller and each encounter feels less significant than they did with the original game. The prophecy missions focusing on Zeratul are a noted exception to the formula. They provide a much needed larger story perspective and start laying the expository groundwork for the final confrontation with Amon in Legacy of the Void. It’s as if we’ve gotten so wrapped up in Raynor’s personal business that we’ve lost sight of what’s really important. What the story of Wings of Liberty does is show us less, but in infinitely higher detail. At one point you can choose to break a group of elite operatives known as spectres out of prison. Though the mission itself is not exactly key to driving the main plot forward, it provides a different context in which the players can explore the world and its characters in new ways. 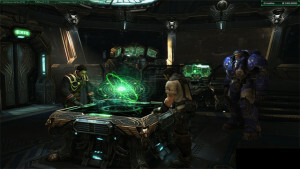 Players can navigate through multiple levels of the Hyperion, Jim Raynor’s ship, talking to various characters about the current mission and how they feel about the choices the player has made. These situations are much less important to the story over all, but they provide a more detailed look into supporting characters and plot points. Of course there are hundreds of games out there now with opportunities for side conversations and hub exploration, many of which are more effectively implemented than in Wings of Liberty. The question is, does this evolution give us a more compelling experience than the old talking heads? Well, it sure looks prettier… and there is more content in terms of the sheer amount of dialogue and cinematics… and the story is more focused and personal… Well, the original game’s story lived and died by its characters, so lets take a look at how character presentation has changed in StarCraft II. Sadly, the quality here has taken a big hit this time around. Having the campaign be completely Terran-centric means that players aren’t getting to spend quality time with the entire cast of StarCraft. In terms of sheer numbers, there are more characters but most of them are not very interesting or are there solely to serve a generic role. Raynor is once again voiced by Robert Clotworthy and naturally he is the most interesting character in the game, if simply for the fact that he gets the most screen time. Blizzard tries hard to delve into his past and flesh him out. One notable change is the addition of a romantic subplot between Raynor and Kerrigan. The game presents it as if it was always there. It’s as if the writers decided that there just had to be a romance somewhere in the story, and they said, “by god if we don’t have one to work with, we will just invent one out of thin air and pretend it was there all along!” Needless to say, it’s a bit contrived. Aside from this, Raynor’s progression is pretty standard. As time goes on, the players begin to realize that he might not be just a one dimensional good guy when he jeopardizes so much in order to save his love interest for selfish reasons. He’s not as strong here as before, but mediocre lines are enhanced by a solid voice performance and the character comes out OK in the end. Zeratul returns but is now voiced by Fred Tatasciore, who lends a more forceful performance to the role. Unfortunately, his character is mostly reduced to that of a plot device, who’s actions are dictated by the exposition he needs to give to the audience. In fact, almost all of his speaking lines are purely expository. Zeratul is the game’s only real link to the bigger picture and his character is a bit crushed by the burden. Arcturus Mengsk has been promoted to the role of lead villain for Wings of Liberty and is once again voiced by James Harper. Just like Zeratul, he has been reduced to a one dimensional plot device. In the original games he was a smooth-talking manipulator who even tricked the audience into thinking he was a good guy for a while. Here he’s a cartoon dictator. Gabriel Tosh is a shady Rastafarian assassin voiced by Dave Fennoy. There is a lot to be said about the racist, stereotypical depiction of his character. I’ll just make a few key points: Tosh is the only major black character in the story and he is constantly portrayed as insidious, shady, and untrustworthy. He is a drug user who’s friends are in jail. He has shamanic powers and carries a voodoo doll around with him. Needless to say, the character is offensive and poorly presented. Tychus Findlay is an old friend of Raynor’s voiced by Neil Kaplan. He is also a walking stereotype. Tychus is big, brutish, and dumb. He has no business being on the Hyperion and seems to only be a liability to Raynor and his crew. He reminds me of Jar Jar Binks, in how obnoxious he is and how contrived the reasons are for him to be a part of the story. At one point he is given control of the Odin, an advanced uber mech that he has absolutely no training to pilot. Later, he tries to murder Raynor by crushing him with a table. Is he kicked off the ship? Nope. Somehow the main characters still think he’s worth something. The second part of the new trilogy continues the personal style of Wings of Liberty, choosing Kerrigan as the main focus this time. Since they share the same format, they also share a lot of the same problems. Once again, the bigger picture is routinely put on hold to follow the personal whims of the main character. However, Heart of the Swarm does offer a better experience than its predecessor, partly because its characters are more interesting and its story does seem to focus more on the bigger picture. As with Wings of Liberty, Heart of the Swarm gives us less scope, but more detail. Here, that detail actually pays off sometimes. Kerrigan is a much more interesting character than Raynor and the supporting cast she is surrounded with are at times unique. 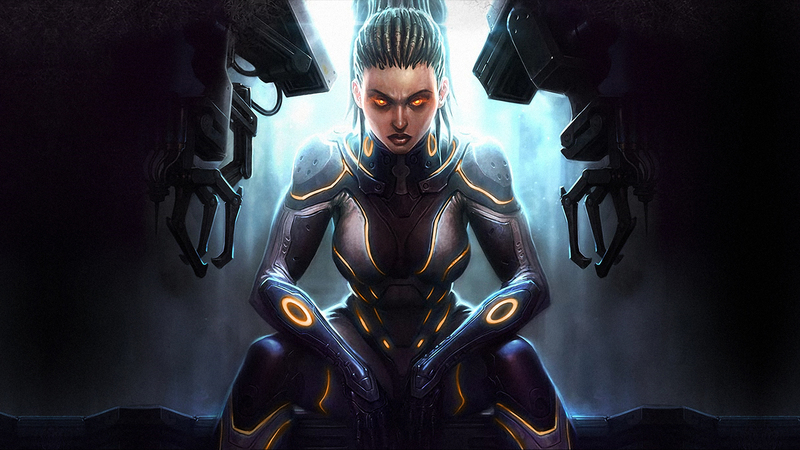 Kerrigan’s growth across the story is also more complicated than Raynor’s and her character is more conflicted. She also physically changes in appearance and abilities over the course of the game, which serves as a constant physical reminder of all she’s been through. The story also digs deeper into the lore of StarCraft with scenarios like the Zerus missions. These delve into the ancient history of the primal Zerg and how they became enslaved by the Overmind. The shapeshifter Duran also returns in the form of Dr. Narud, which gives us more foreshadowing of the ultimate enemy. All in all, it deepens the mythology of StarCraft in ways that Wings of Liberty never could. 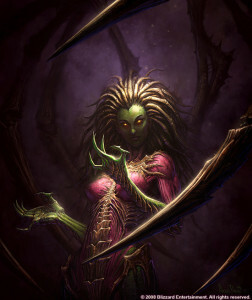 Kerrigan returns in much stronger form here, voiced again by Tricia Helfer. As expected, her presentation is better than it was in Wings of Liberty, though still not finding the greatness that her character had in Brood War. 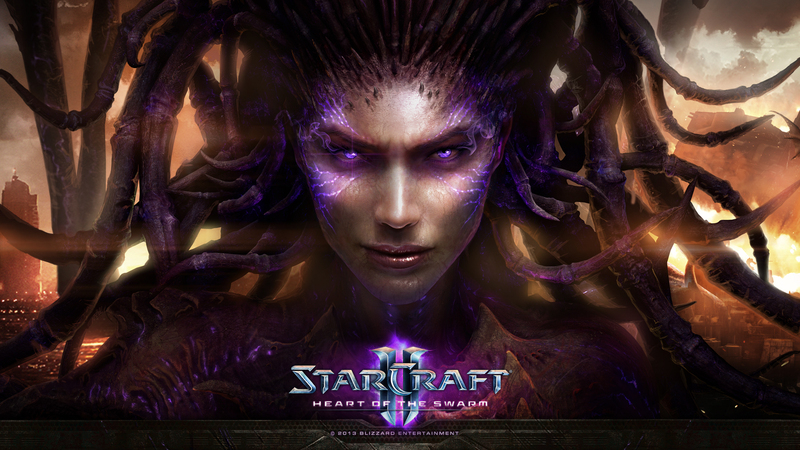 In Heart of the Swarm she is morally good, but also conflicted and as she goes through physical and mental changes, she struggles to maintain her identity. In spite of the great improvements seen here, Kerrigan still serves as a prime example of how storytelling in the new games is much more risk averse. For example, the original game had you play as the villain for a whole third of the game. That villain, of course, was Kerrigan herself. She even wins in the end of Brood War by being evil, cunning and manipulative. Such a choice wouldn’t even be considered here. In today’s story climate, she needed to be identifiable and sympathetic. The results are a bit milktoast. Mengsk is back again and by the end of this story he proves himself as a very underwhelming choice as the main villain for more than two thirds of StarCraft II’s story. Raynor and Kerrigan deserve a much more worthy opponent. Abathur is a standout new character, voiced by Steve Blum. He is more interesting than any of the humans ever were on the Hyperion, due to his sociopathic perspective and quirky dialogue. Listening to him and Kerrigan bounce off each other reminded me of what made the original game’s conversations so fun to listen to. In mechanical terms, Abathur is the Zerg version of Swann from Wings of Liberty. Comparing Abathur with Swann’s clichéd and forgettable presentation illustrates the progress made between the two games. There are a slew of other intergalactic characters that join the Leviathan including Zagara, Dehaka, and infested Stukov. Overall, I found myself making sure that I got input from all of them after every mission, knowing that each would have a unique and interesting perspective to share. Part of what makes the cast more interesting is that, in a limited way, none of them have human minds. A big part of the fun is trying to piece together how each of these creatures think and how they would respond to Kerrigan, the most human of the lot. 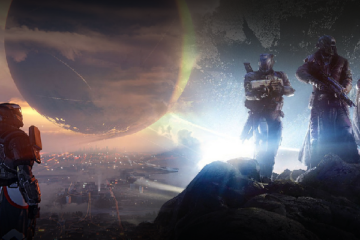 The latest playable story content available is the Whispers of Oblivion mini-campaign. This serves to bridge the gap between the story line of Heart of the Swarm and Legacy of the Void, once again focusing on Zeratul. It’s a solid teaser for the events to come and its focus is decidedly large in scale. Hopefully the new expansion will continue this focus and not get bogged down with petty personal business. It’s the last game and we’re out of time. This means that if the writers want to do the overarching story justice, they need to spend more time on the bigger picture this time around. If they don’t do it now, it won’t happen. 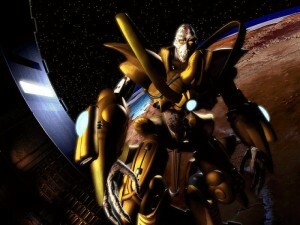 Here’s to hoping that we don’t get 20 missions about retaking Aiur and then a measly 5 missions about destroying Amon. The main character in Legacy of the Void is the great Hierarch Artanis! …Wait, who? Oh yeah, that really inconsequential Protoss kid from Brood War who never made another appearance? Yeah that guy. Take a moment to think about how integral both Raynor and Kerrigan have been to the StarCraft story. Compared to that, Artanis is a bit of a lightweight. He was never in the original game, was only shown once in Wings of Liberty, and never made an appearance in Heart of the Swarm. So the question is, why him? Well for one thing, every other Protoss character from Brood War besides Zeratul is dead as fried chicken. Tassadar kamikazed the Overmind, Aldaris was killed by Kerrigan, Raszagal was infested and then executed by Zeratul, and Fenix was killed twice by Zerg and then later Kerrigan. The Protoss remind me of House Stark: honorable, brave and dead. Since Zeratul isn’t quite ‘mainstream Protoss’ enough to lead an entire campaign by himself, they had to go with the only choice they had left. It seems like either an unfortunate corner the writers painted themselves into, or a deliberate choice because of the opportunities it affords. Since players don’t care about Artanis nearly as much as they do about Raynor and Kerrigan, he might be the perfect main character for a story that focuses less on personal journeys and more on the bigger picture. So after a decade and a half of changes, the old games seem to have the upper hand in terms of storytelling. 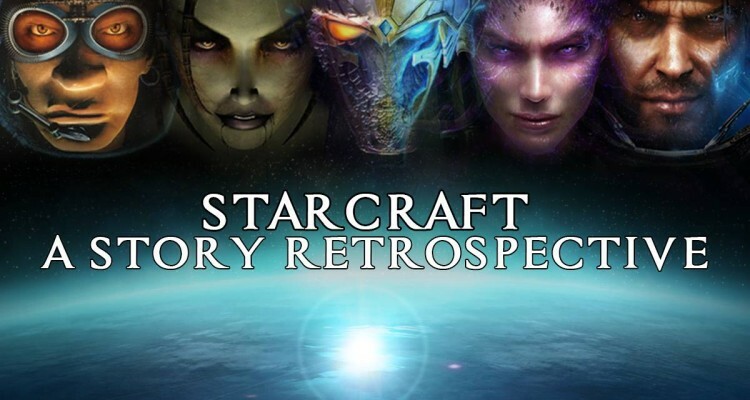 With the original StarCraft, you had a studio that was anxious to prove it could make a game that wasn’t just ‘WarCraft in space’ and it had the creative talent and the flexibility of a new intellectual property to do just that. Constraints seemed to work in their favor, making good writing and voice acting a necessity in the absence of technical dazzle. In 1998, talking heads was all they had to work with, so they poured every ounce of talent they had into making them the best talking heads they could. With StarCraft II’s story you have a case where there was a huge heap of resources, but very little creative wiggle room. The plot was already laid out by its predecessors and modern business philosophy dictated that they plan it as a trilogy from the beginning, with installments focusing on the most marketable character in each race. This makes advertising and product presentation logical, but it bleeds the story dry of what made it great in the first place. StarCraft is a complicated universe with tons of crazy characters bouncing off each other. Doing it justice demands flexibility with where the perspective can go. When you force an entire campaign through only one man’s perspective, the story stretches thin and the scenarios become contrived. This is because the story isn’t being driven by character anymore. It’s being driven by a marketing strategy. You take what was once a complex, organic and well rounded network of characters and force it through a tiny perspective. When it comes out the other side, all that complexity is beaten out of it. Hopefully this isn’t the way of the future for Blizzard games, or video games in general for that matter. There certainly are plenty of great examples of games today with complex and unique storytelling. And don’t get me wrong, I’ll be firing up Legacy of the Void on November 11th with genuine excitement, knowing it’s going to be a blast. I just hope it sends my favorite series out with a bang, rather than a forgettable fizzle. Either way, I’ll see you guys online.